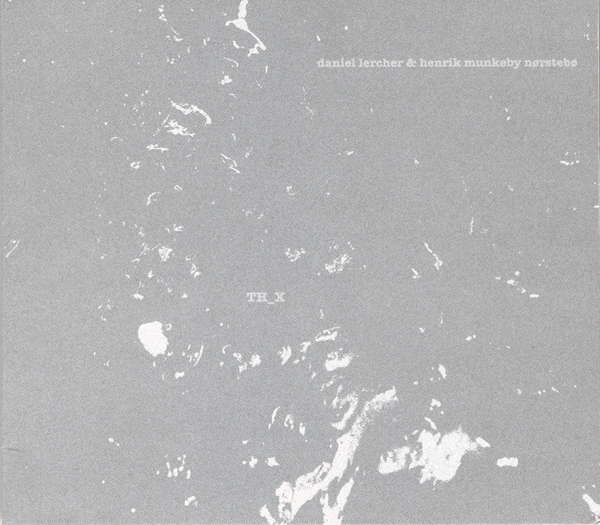 TH_X brings together sound artist Daniel Lercher and experimental Norwegian trombonist Henrik Munkeby Nørstebø , combining free electroacoustic improvisation and digital electronics. The five scores (“A”, “B”, “C”, “D” and “E”) were composed for performance at a number of concerts that took place in Trondheim in 2011. The tracks were later revisited and recorded to be part of the Chmafu Nocords catalogue. Eccentric multiform treatments have been developed that make use of high-level instrumental technique, subtle drones and skillful manipulation of caesuras and sonic environments. Lercher’s homemade software has an influence over the whole production, especially in the alternating minimalistic elements; the quiet, suffused sounds, the contrast between different layers and the soft fades. The work is dreamy and cinematic, yet enveloping and prickly. The sine waves and the low emissions of the wind instruments converge in a charming continuum, filled with abstract electronics: the twists are dark but not penitential, simultaneously noisy and elegant. The software was made in such a way as to analyze the sound spectrum of the trombone in real time and then operate sine waves, resonators and filters, resulting in two independent sound sources that almost converge in unison. The procedure also leaves space for spontaneous interventions, with the aim of creating a silent intensity and harmonic balance with the chaotic and unpredictable elements. This album transports us to places that dreamy, enveloping, enchanting and placid.